Spring is the time of plans and projects. 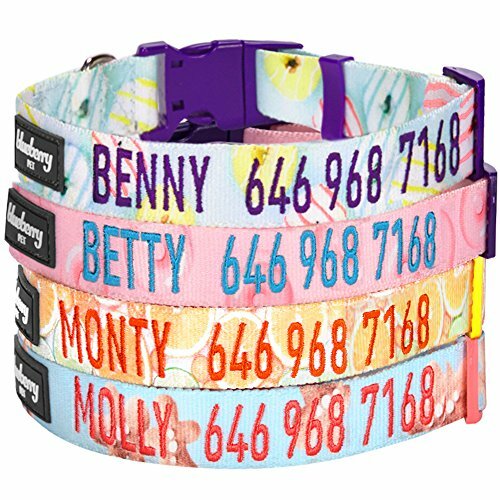 At Blueberry Pet, we are bringing you our first time ever personalized dog collar collection in spring 2016. Don't be too pampered, because you have 7 different patterns to choose from. This designer collar features various lemon prints on durable polyester webbing. As a top pick from editor in chief, you will enter a world of lemon with this nicely designed collar. You might even feel the love from lemon zests - use your imagination! The structure of this collar is rather simple and classic - classy light toned polyester webbing without ribbon on top, plastic buckle and D-ring. We leave all the creativity and inspirations to you!